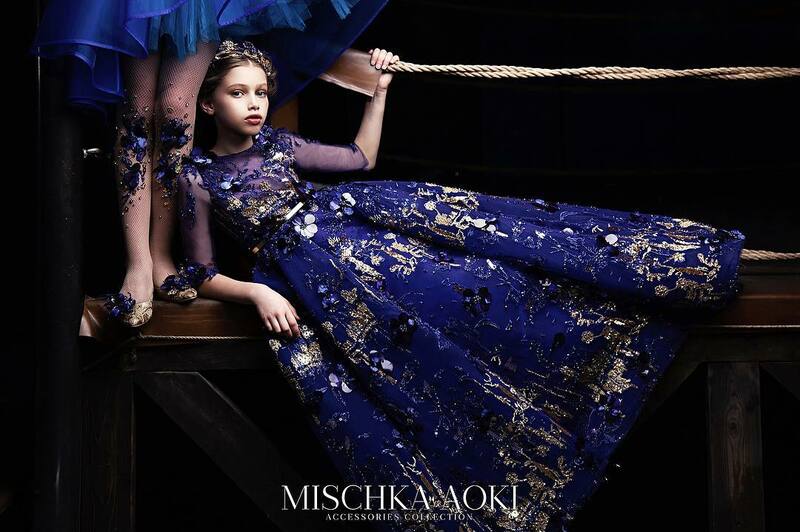 A Childrensalon exclusive, special occasion dress set for little girls by Junona. 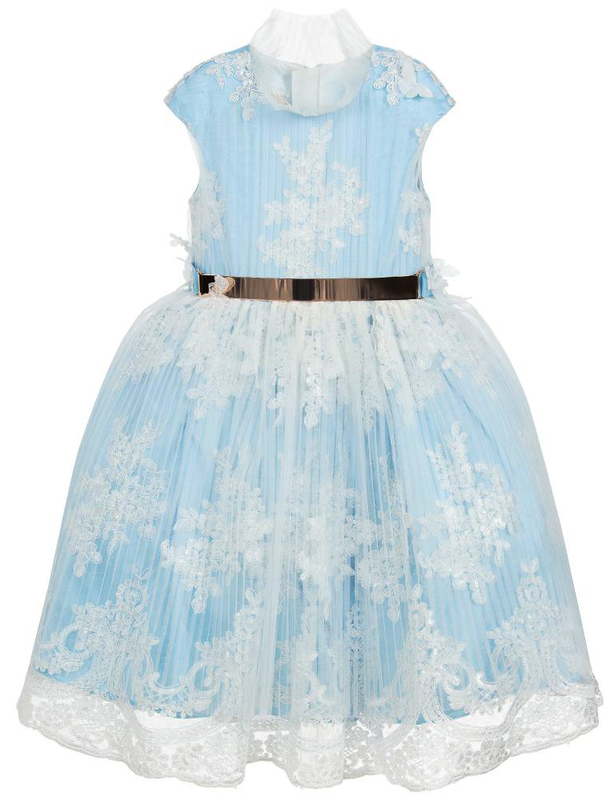 It has a soft blue bodice with tulle ruffles, floral appliqué and embroidery. 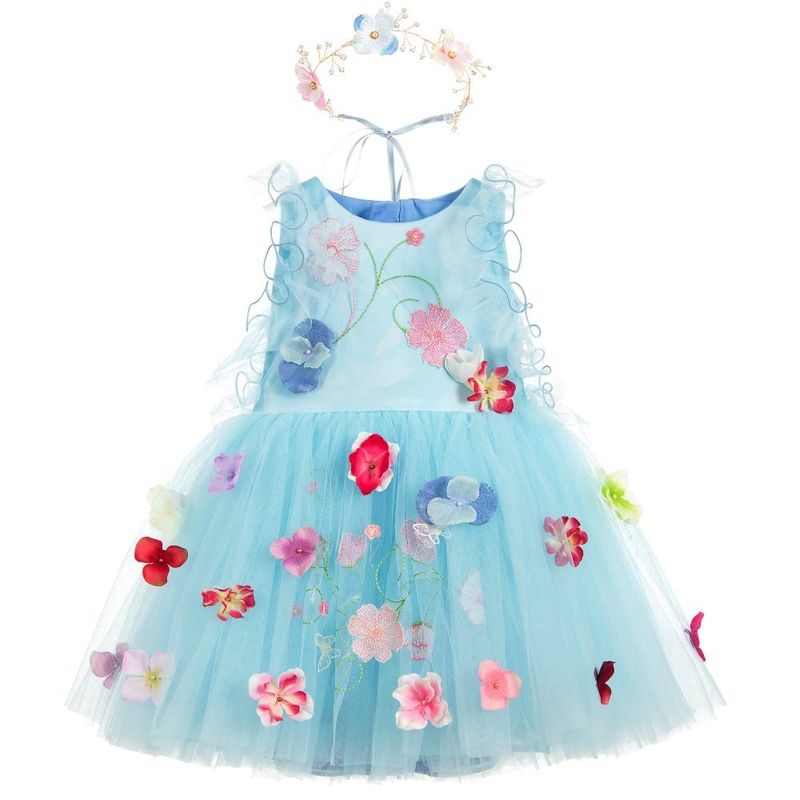 The skirt has layers of soft tulle and satin over a cotton lining. Older sizes come with a floral hairband with crystals, pearls and a ribbon tie. Younger sizes come with matching knickers. 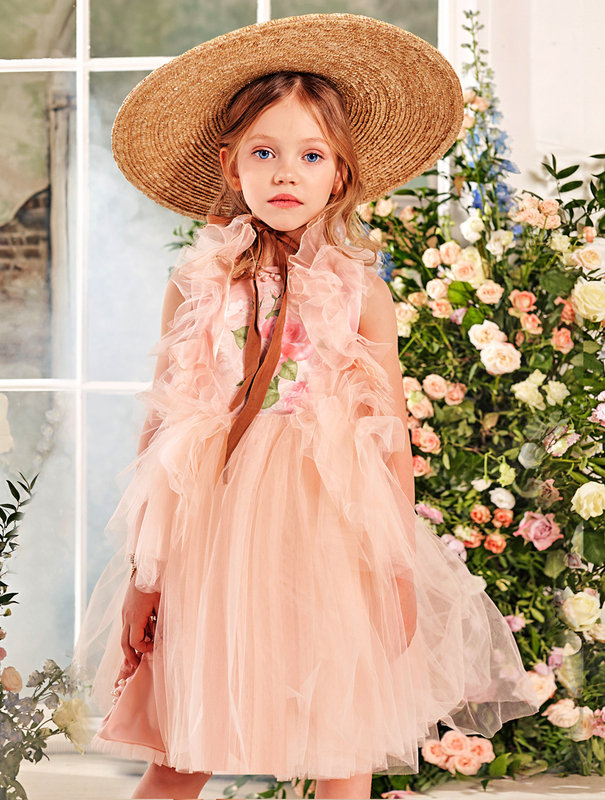 A Childrensalon exclusive, special occasion dusky pink dress set for girls by Junona. Made in soft satin and tulle, with ruffles, pearls on the neckline and a pink and green rose print on the bodice. 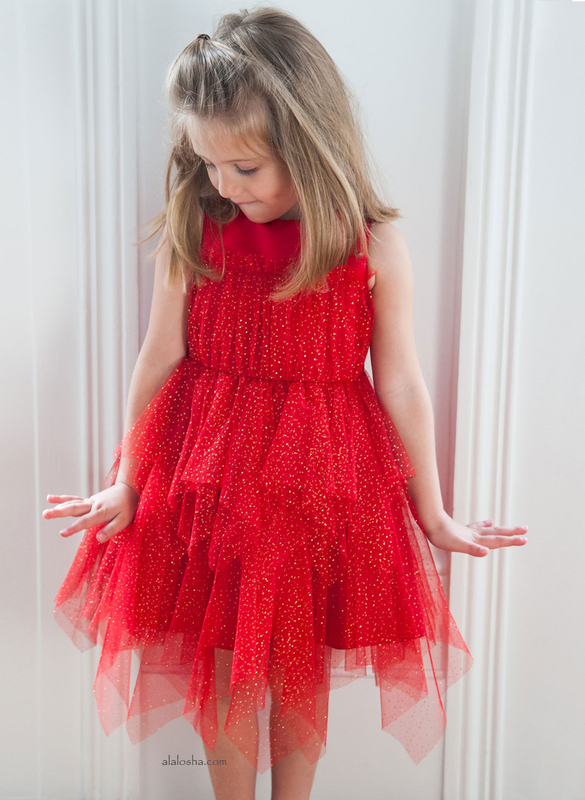 The tulle skirt has shorter ruffles around the hips. 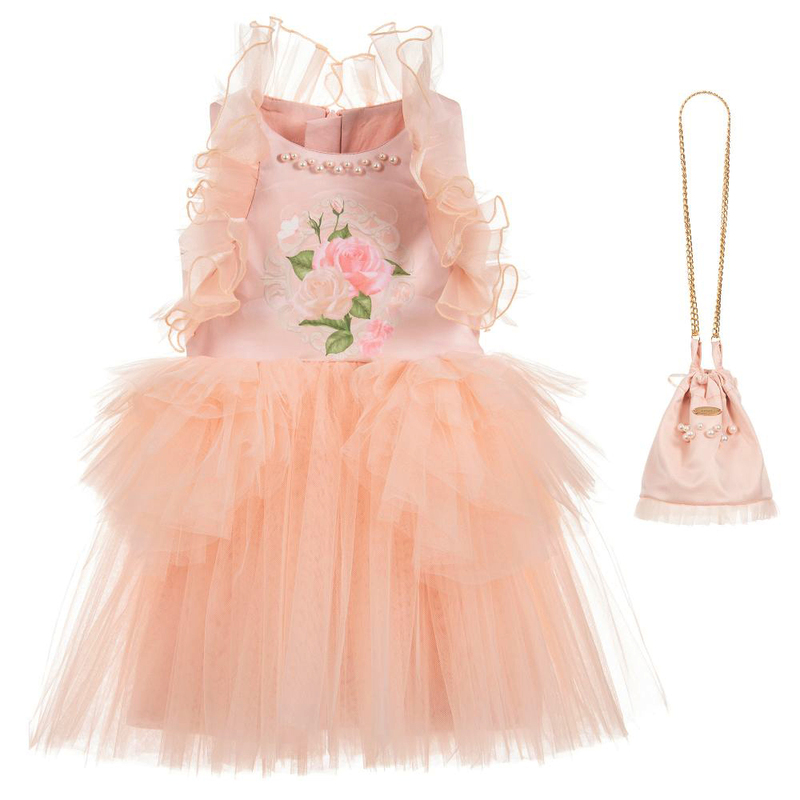 A matching drawstring satin and tulle bag, with a gold chain strap is included. 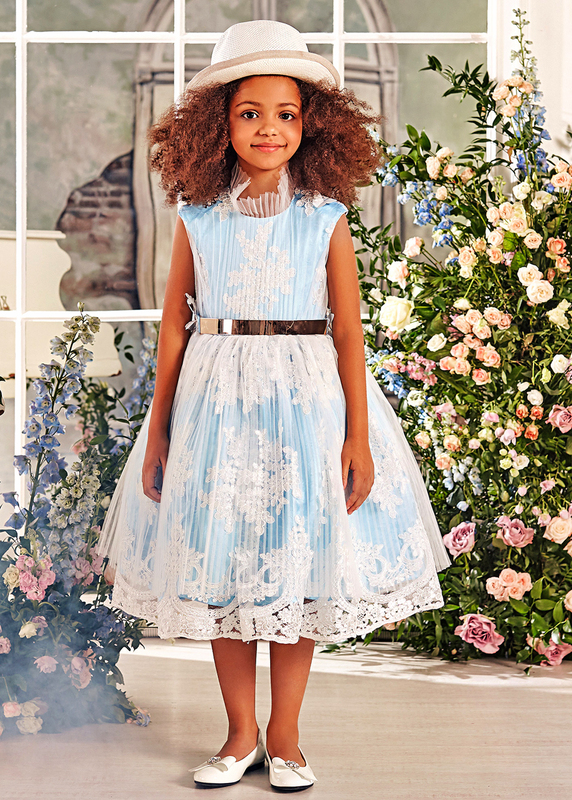 A Childrensalon exclusive, blue & white special occasion dress for girls, by Junona. The top layer is sheer pleated tulle creating a high collar, with lace and sequins and a satin layer beneath. The skirt has layers of stiffened tulle over a cotton lining. It comes with a detachable metal, satin and lace belt.